Imberpark boarding kennels are constructed to a high standard and licenced by the Local Authority. Each dog is housed in their own individual accommodation, large enough to kennel more than one dog from the same family. Each kennel is big enough to accommodate the largest of breeds. 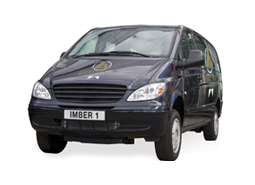 Here at Imberpark we treat each dog as an individual and pride ourselves on delivering a high class and professional service for over 30 years. Our friendly, experienced staff provide a happy, caring and secure environment for your beloved pet, giving them an exceptional high standard of care and one on one attention. Each of our kennels has its own individual, large, covered, detached run providing ample exercise during the day. Access to your pet's tiled bedroom is always available and a bed is provided with freshly laundered vet bed bedding which is changed twice daily. The thermostatically controlled heating system provides constant warmth during the cold weather. Meal times are a pleasure at Imberpark. Our kitchen / food preparation area is run to the strictest of hygiene standards. 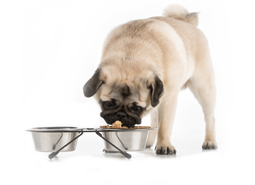 Our large on site pet store offers an extensive a la carte menu enabling us to fulfil the majority of feeding requirements. Meals are prepared on site under the supervision of our own qualified dietician who ensures your dog's individual nutritional requirements are catered for. We are also able to cater for dogs with special diets and administer prescribed food and medication as necessary. All dogs receive onsite exercise and play time several times a day but for added stimulation and a change of scenery, why not treat your dog to our dog walking service, offering exercise in the surrounding woodland and meadow areas (additional charges apply). Your dog is walked in a harness, collar and lead either individually or in a small group by our fully insured and experienced kennel staff. This provides additional 'bonding' time for your dog and their carer. 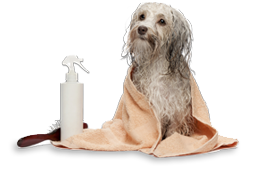 Why not make the most of our facilities and book a refreshing kennel bath spritzer service leaving your dog clean and fresh ready for your return. Alternatively, for a full groom and nail cut, why not book in with onsite groomers, Canine Creations.